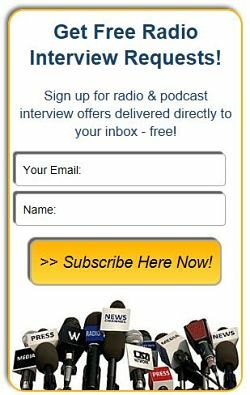 Matt Bertram, Digital Marketing SEO Expert & Author - Radio Guest List.com - How to Get Radio Interviews and Find Podcast Guests! Digital Marketing Strategist, Author, Entrepreneur, Trainer, and Speaker. Matt is the co-host of Unknown Secrets of Internet Marketing, the most popular SEO Podcast on iTunes, and Author of Build Your Brand Mania: How to Transform Yourself Into An Authoritative Brand To Attract Your Ideal Customers. He has a strong track record of creating positive ROI through Search Engine Optimization (SEO) and Pay Per Click Advertising. Matt is an Expert in Web Design, Social Media Marketing Strategy, and Email Automation who is currently managing millions of dollars of clients advertising spend per year online. Your listeners will enjoy hearing Matt's actionable tips to help grow their business online. 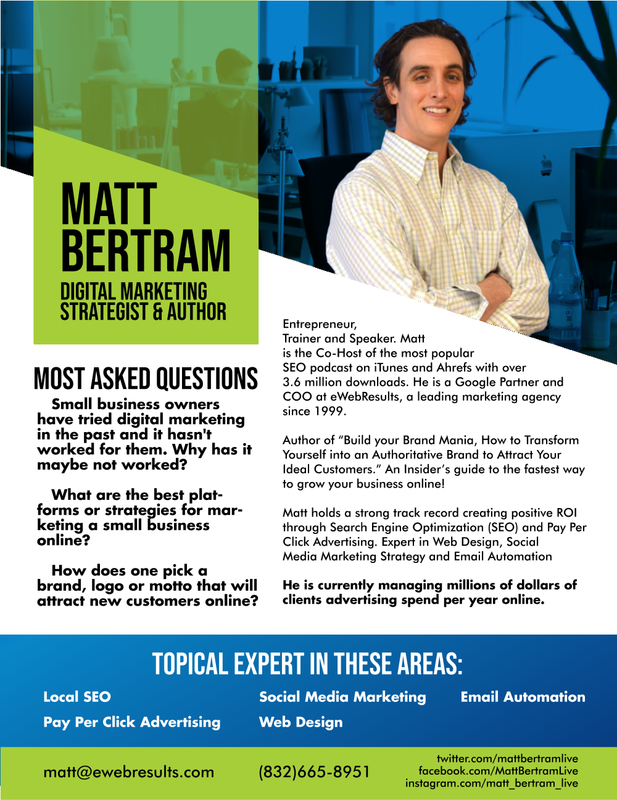 The Personal Journey that lead Matt Bertram from $100,000 loss on internet marketing as a customer to the Top Digital Agency in Houston. How to build your brand to attract your ideal client. Why has it maybe not worked? What are the best platforms or strategies for marketing a small business online? How does one pick a brand, logo, or motto that will attract new customers online? The Co-Host of the most popular SEO podcast on iTunes and with over 3.6 million downloads. COO at eWebResults, a leading marketing agency since 1999.